(Bloomberg) -- A divided U.S. Supreme Court blocked Louisiana from requiring abortion doctors to get admitting privileges at a local hospital, giving a reprieve to clinics as the justices consider whether to take up an appeal. Over four dissents, the justices Thursday put on hold a federal appeals court decision that upheld the Louisiana law, which is virtually identical to a Texas measure the Supreme Court struck down in 2016. Chief Justice John Roberts joined the court’s liberals in the majority, giving no explanation. 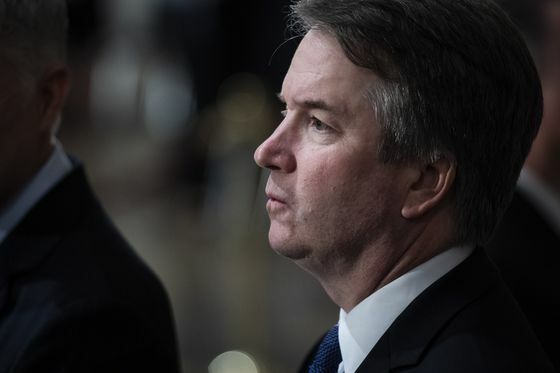 The court has become more conservative since the 2016 ruling, with Justice Brett Kavanaugh replacing the retired Anthony Kennedy. Kavanaugh joined Justices Clarence Thomas, Samuel Alito and Neil Gorsuch in saying they would have let the law take effect. Kavanaugh wrote separately to say that approach wouldn’t have changed the “status quo.” He said doctors could have performed abortions during a 45-day period in which the state would determine who had the necessary privileges. Kavanaugh said new challenges could have been filed if three doctors currently without privileges couldn’t get them during that time. The Supreme Court said the Texas law provided “few, if any, health benefits for women, poses a substantial obstacle to women seeking abortions, and constitutes an undue burden on their constitutional right to do so.” Roberts dissented from that ruling, so his vote Thursday marked at least a temporary shift for him. Kavanaugh said the 2016 ruling was the “governing precedent” for the purposes of the order the court issued Thursday. “The question presented to us at this time is whether the law imposes an undue burden” under that ruling, he wrote. The case is June Medical Services v. Gee, 18A774.